Ursolic Acid 250mg. / 100 Caps. 10 Billion Acidophilus & Bifidus Probiotic Complex 60caps. Huperzine A 98% Extract 200mcg - 90 Caps. Glucosamine Sulfate 500mg. / 90 Caps. HAYA LABS Acetyl L-Carnitine is a high quality formula. It comes in easily digestible capsule, containing easily absorbable form of L-carnitine, which promotes fat burning, increases energy, improves brain function and supports nervous system. African Mango 350mg / 60 Caps. HAYA LABS Basic Adult Multivitamin has a multi-element formula containing all necessary vitamins and minerals in the form of compact tablets which improve the overall health of the organism and stimulate the metabolism and the immune system. Haya Labs High Potency Vitamin C with Rose Hips is an extremely powerful formula excellent for people in need of a rich source of vitamin C to support their immune system and increase the defensive powers of their bodies. HAYA LABS Omega 3 is high quality supplement in gel capsules with powerful anti-inflammatory action. It helps functioning of cardiovascular system and stimulates brain function. 100% All Natural Pea Protein Isolate is a high quality protein powder with 100% vegetable origin. 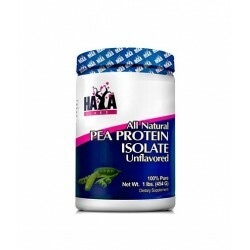 Pea protein isolate will help you get the necessary amount of protein per day. HAYA LABS Curcumin / Turmeric Extract / is a powerful antioxidant with action against the signs of aging. Supports recovery processes, strengthens bones, normalizes blood pressure and protects against toxins. Cod Liver Oil: provides essential omega-3 fatty acids for optimal cardiovascular health. Lycopene (lycopene) is an antioxidant compound found primarily in tomatoes and some other vegetables and fruits, such as watermelon, pink grapefruit, pink guava, papaya, red pepper fruit and rosehip. HAYA LABS Synephrine is a powerful thermogenic formula based on synephrine which stimulates efficient fat burn in a healthy and safe way. HAYA LABS Caffeine is a natural formula containing caffeine as an active ingredient. 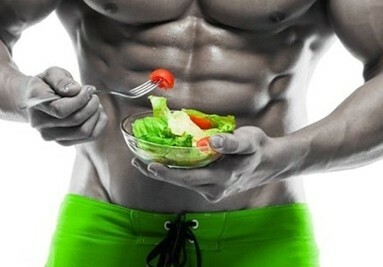 The formula stimulates mental and physical activity, increases energy and concentration and helps burning excess fat. Glucosamine sulfate is an aminopolysaccharide - a combination of amino acid (glutamine), and sugar (glucose). Glucosamine is produced in the body and it provides raw material for compounds which are the basis for many tissues in the body, including cartilage, ligaments, and tendons. Linoleic acid belongs to the omega fatty acids group, which perform vital functions in the body and are necessary for optimal health and physical condition. Free from 60 € !!! Call and advise you on your purchase. You pay comfortably with your Paypal account. HAYA LABS was founded in 2011 and is now a leading global manufacturer and distributor of high quality food supplements for health, welfare and sport. The headquarters of the company was established in Florida, USA, and recently opened a new facility in London, UK. ATTENTION: The products shown here are nutritional supplements as established by the European Directive 2002/46 / EC on food supplements and all can be legally sold in all countries of the European Community on Articles 28, 29 and 30 of the treaty the European Community and Articles 1-4 of the European Parliament Decision 3052/95 / EC. Dietary supplements are not trying to replace a balanced and varied diet, they are presented only in order to supplement the intake of nutrients of a normal diet. Neither treat, prevent, diagnose or cure any disease, acts attributable to drugs, as defined by European Directive 2004/27 / EC of 31 March, the Council and the European Parliament on medicines. It reserves the right to ship products to countries where the country does not allow. Products should not be used as a substitute for diet or medication and be beyond the reach of children. The consumption of the products should be controlled by a professional when in doubt, always consult your doctor. Spring Refreshment of the Diet?